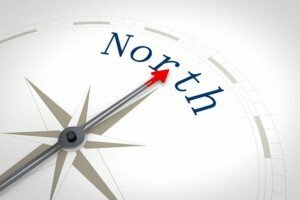 To find true north, a compass must be adjusted to make up for the discrepancy between what it shows as true north and true north which is disguised by the earth’s magnetic pull. Like the false north shown on a compass, our egos often pretend to guide our lives. This means they lure us down a path of their own choosing, ignoring the essence of our soul. Therefore, a correction angle needs to be learned to stay on course. We believe the ancient science of yoga is that correction angle. And yoga science provides tools and guidance to adjust your life to the true essence and evolution of your soul. At Yoga North, we are committed to systematic development in postures, breath, meditation, and the goal of knowing yourself. Our studio provides quiet reflective space for self-study and exploration. Yoga North International SomaYoga Institute (ISYI) in Duluth, Minnesota – known for Teacher Training and Yoga Therapy Certification – draws on unique techniques. Based on the Yamas & Niyamas and a progressive approach using somatics and therapeutic yoga, we bridge these techniques back to classic postures / asana. Additionally, in our studio, Yoga’s sister science of Ayurveda is present in classes, workshops, and lifestyle. We provide classes in a variety of styles, from pain resolution to athletic performance. With more than 20 weekly classes and over a dozen instructors, there is a class to serve everyone. In-depth Yoga, SomaYoga & Somatic Studies. These are taught by core faculty Yoga Therapist and Somatic Educators, Ann Maxwell E-RYT 500, SE, C-IAYT and Molly McManus E-RYT 500, C-IAYT, SE, AHC as well as adjunct faculty. Our innovative curriculum and pairing of the neuromuscular re-education discipline of Somatics with the ancient wisdom of yoga is a unique blend. We have seen profound results with less effort in advancing even the seasoned yogi’s practice. Supported by a community of guest instructors as well as a staff dedicated to ongoing learning, Yoga North ISYI a go-to studio for yoga education regionally and globally.